Hands down the The Best Quality and Value in Fundraising Today! The products are not what you are accustomed to seeing in fundraising. The Product Quality is what you would find at high end stores, but at Walmart Prices. Each student receives BOTH catalogs The Merry Gift Wrap Guide and Kitchen @ Home! It’s a proven fact, two brochures will out produce one brochure every time. One order form means no extra work for the school while earning more profit! Over 95% of our items are EXCLUSIVE to Charleston Wrap® You won't find our products anywhere else. From our collection of Bel Piatto™ cast-iron kitchenware, to our stellar Ultra-Heavy™ gift wrap designs. Mexican Theme Night – Bel Piatto™ Fajita Pan & Wood base, Taco Truck (stainless steel), Tortillas warmer, Chopper for making salsa, and Stonewall kitchen salsa & queso! Storage Solutions – Air Tight Storage Container set w/patented smart seal locking lids. Game Day – Pigs in a Blanket Mold (silicone), expected to be big seller. Our Monster Stuffed Burger Press is about 50% larger/taller (at the same price) as compared to similar products in other fundraising catalogs. NEW Bundt Pans! Die-cast aluminum – Very heavy, high quality – the definition you get from cakes is amazing. NEW PRODUCT CATEGORIES! Holiday décor lighting, breakfast essentials, game day must-haves, storage solutions and more! Tons of great new gifting ideas! 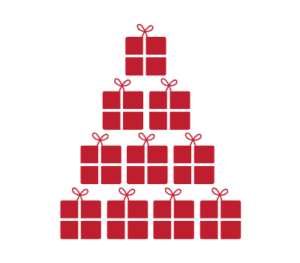 Over 1,500 gift ideas. Between our printed catalogs and the best online store in fundraising, more selections mean more purchases! There is literally something for everyone. Over 200 EXCLUSIVE gift wrap design choices! Totally exclusive items you won’t find anywhere else, like our 3-D gift wrap and hand-made cotton gift wrap. Unique finishes like hot-foil stamping, ultra-embossed, encapsulated glitter, high gloss UV, metallic embossed and Kraft. Feel and compare with our new swatch samples… our wraps are the heaviest in the industry using 60 lb. and 70 lb. paper. 100% of PERSONALIZED items are completed in-house! PLUS, we’ve added NEW items! Guaranteed perfection, every time. We offer a large selection of gift items including NEW items available to be personalized: Christmas linens, tote bags, pet items, home goods & décor, gift wrap, hang tags, photo cards and more. $0 Upfront Costs. FREE collated fundraising packets and promotional materials for successful results. FREE incentive programs, proven to motivate. Many choices to maximize your fundraising efforts. Most schools see 30% more profit when switching to Charleston Wrap. Raise More. 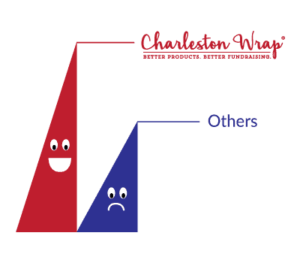 Schools and groups that switch to Charleston Wrap from other school fundraising companies generally see a 30% increase in their annual fundraiser. Why? Simply put, people like our quality products and our easy promotion tools. Ultimately, the more they buy, the more you put in the bank. Better Value. It’s no secret that with better quality products priced right, supporters won’t feel the “gotcha” of having paid top dollar for bottom of the barrel. Why is this important? Since you won’t burn your supporters with poor quality, over priced products this year, they’ll be willing participants next year. Teacher Incentives. Teachers are an integral part of your fundraiser’s success. Get teachers on board with special rewards for classroom participation. Prize Program. 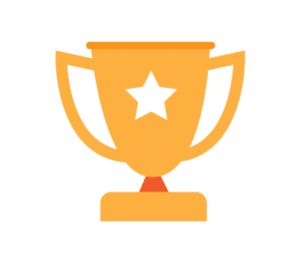 Prizes are a great way to motivate students and boost participation. Our FREE, cumulative/pick-a-prize combo program is the perfect way to engage your participants at no extra cost. Daily Incentives. Keep the momentum going during your fundraiser by rewarding students daily. Daily incentives are proven to boost participation 25%. Internet Prizes. Reward students instantly for sharing your fundraising information with friends and family via our email template feature. We know the elementary and pre-school market. School Experience. 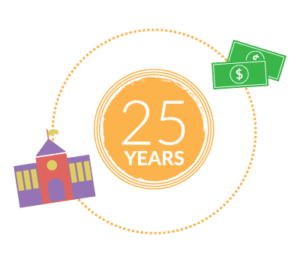 As industry leaders among school fundraising companies for over 25 years, we’ve helped 1000s of school raise millions of dollars. We understand the unique challenges that school leaders, PTO/PTA sponsors, and parent groups face. And we’ve developed an exclusive process and set of tools to help your fundraiser succeed. School Focused Tools. From our ability to deliver school orders to the classroom to our industry leading prize and incentive programs, we are focused on the unique needs of large, school-wide annual fundraisers for preschools and elementary schools. Great quality, Great price, less “Gotcha!” We know supporters hate the “gotcha” of paying top dollar for bottom of the barrel quality…and they won’t be back for next year’s fundraiser. We lead other school fundraising companies in providing more quality for less cost. The result? Supporters buy more, (you raise more!) and won’t mind buying again next year. Variety. Gift wrap, kitchen and home products, electronic gadgets, hundreds of personalized items- a variety of unique, priced-right items means there is something for everyone to purchase. Exclusive Designs. Most of our products are exclusively designed by us and custom manufactured for us. 500 Personalized Products. You won’t find another school fundraising company that has more embroidered, monogrammed, and personalized products than us. 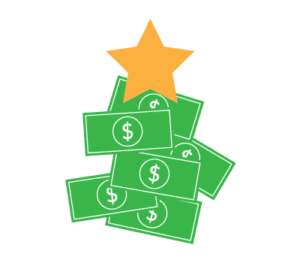 Supporters enjoy this popular add-on which increases your fundraiser’s profit. With our tools and team, it’s easy. Step-by-Step Guide. We’ve got the missing manual. We spell out the step-by-step instructions on how to run a great fundraiser and give you all the tools you need. Great Promotional Tools. With printed catalogs, online shopping, Facebook, and email-a-friend promotional tools, your supporters will have an easy way to share our high quality products, easily boosting your participation and net revenue. Online reporting makes tracking your progress a breeze. Your own coach. You’re not alone! Get assigned to one of our real-live human fundraising consultants. This isn’t their first rodeo! They’re on-hand, every step of the way to coach you through to another successful fundraiser. Use our online tools to extend your reach and track your success! Facebook Sharing Tool. Share the love. 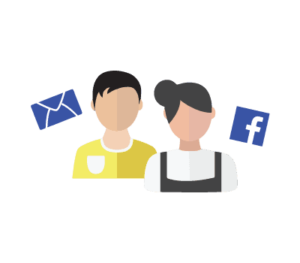 Easily post the sale message to Facebook and give supporters a convenient direct-to-store, ready-to-buy link… no login required. 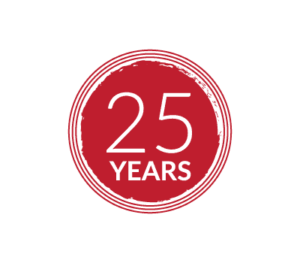 You won’t find many school fundraising companies with over 25 years in the school fundraising industry. We’ve successfully supported school fundraising efforts across the nation and across the world, but don’t just take our word for it, the numbers speak for themselves. +65% Fielder Elementary $7,771 increase in retail sale over Yankee Candle by switching to Charleston Wrap. +212% Cummins First Methodist P.S. increased retail by $19,987 over Mixed Bags. +347% Marengo ACA increased retail by $6,941 over World’s Finest. Blog – Expert and experienced advice is priceless. Our blog offers an array of all the tips and ideas you need to run a successful school fundraising campaign. Sponsor tool box – As a sponsor, your how-to guide is literally at your fingertips. 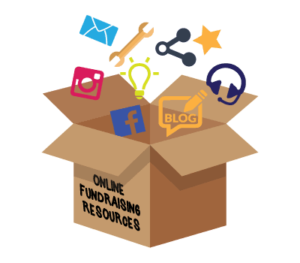 We provide easy access to all the fundraising tools you need so you can access them anytime, such as our social media guide to fundraising. Student spot – It’s important for parents and students to have the right fundraising tools, too! 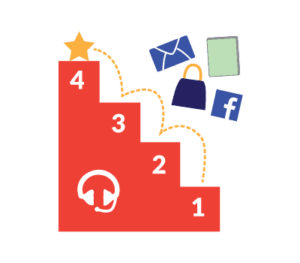 This is the place where students can view prize credits, send emails to family and friends, and utilize our social media sharing tools to exponentially impact your sale.